If you're planning to hold your special day outside in a marquee (or perhaps a Teepee) we've got a fantastic special offer for you when you book your wedding catering with Berry Blue. We're marquee catering specialist and have provided catering for up to 1,000 people in outdoor venues at locations around the South West. We believe no matter what your venue, whether it's a stately home, or a tepee in the garden of your family home, the catering should be unique, delicious and give your guests the wow factor. When you are planning an outdoor wedding in a temporary structure like a marquee there are lots of things to consider, so it's best to be working with a caterer who has experience. At Berry Blue, we can advise on catering annexes for marquees, and power and water supplies. We can come and set up a complete kitchen for you in the marquee so that you can have a fine-dining three course meal, despite being in the middle of a field! We can also help you make the best menu choices, and discuss evening food options like hog roasts, live cooking and barbecues to make the most of beautiful outdoor locations. We're also great in a crisis, so if it pours with rain, or the power cuts out, we'll be there to help you however we can. At Berry Blue, we tailor our menus to the seasons and we source our food locally wherever possible from trusted suppliers. We have a large range of catering options to suit any tastes, but we can also create a bespoke menu for you, just talk to us about what you like. If you're interested in booking with us, why not snap up this offer today? You'll need to have booked and paid your deposit with us by the end of October 31st. The offer is not restricted to any dates but the wedding date will need to be available with us for you to book. *Offer T&Cs. 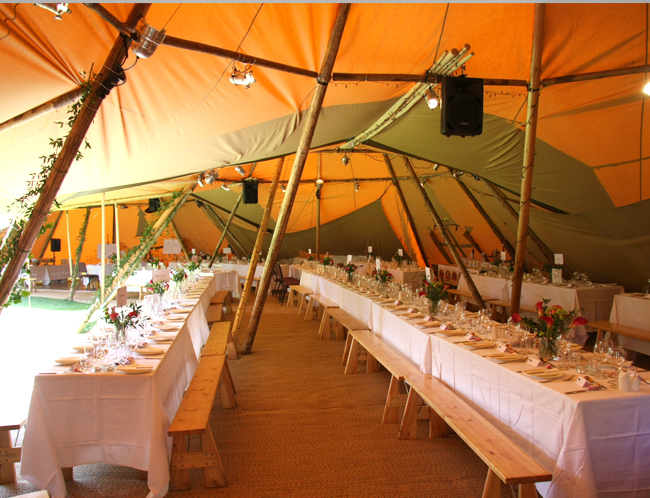 The special offer is open to anyone who is organising a wedding in a marquee, tepee or large outdoor event structure, such as a yurt. Your wedding can be on any date (as long as the date is available to book) but you will need to have paid your booking deposit by October 31st 2017. Booking deposit of £500 plus VAT secures your date and the offer. 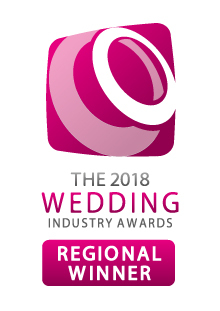 The offer includes 1 glass of Prosecco per guest for your day drinks reception (after the wedding ceremony), or can be swapped for Bucks Fizz or a glass of Pimms. The offer requires you to book all your catering requirements with Berry Blue, and of a minimum value of £1,000.